The show’s producer Ken Ehrlich told The New York Times that the three artists weren’t interested in taking the stage. 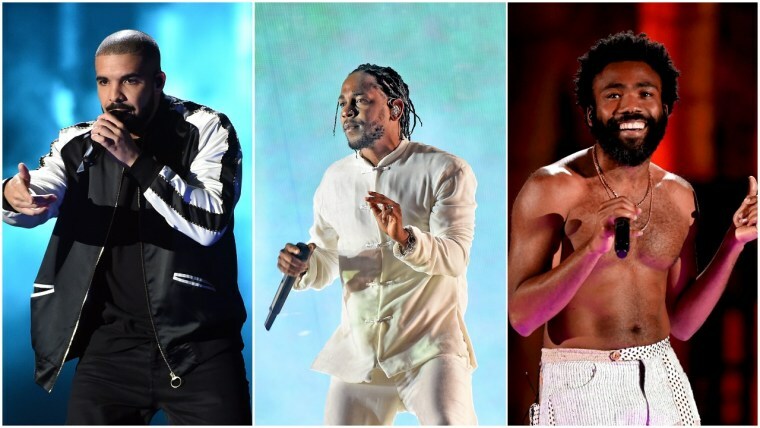 Drake, Kendrick Lamar, and Childish Gambino all separately declined to perform at The 61st Grammy Awards when approached by the Recording Academy, according to a report in The New York Times. “The fact of the matter is, we continue to have a problem in the hip-hop world,” Ken Ehrlich, producer of the Grammys gala, told the Times. When reached by the paper, representatives did not reveal whether the artists would even attend the ceremony. All three artists are nominated at this year's event. 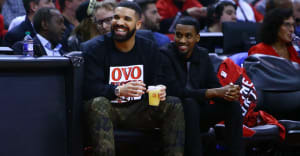 Drake received seven nominations, Lamar eight, and Gambino four. The 61st Grammy Awards takes place February 10, 2019. Its confirmed performers were announced earlier this week: Post Malone, Cardi B, Travis Scott, Lady Gaga, H.E.R., Mark Ronson, St Vincent, Dua Lipa, and Chloe x Halle will all take the stage at some point during the show. Oh, yes: Post Malone and the Red Hot Chilli Peppers will perform together as well. Ariana Grande was in discussions to take part, but reportedly pulled out of the show over a performance disagreement.